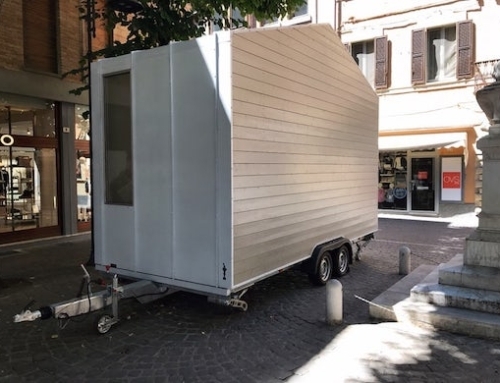 In France, laws require tiny homes to be smaller and lighter than the ones in the US. 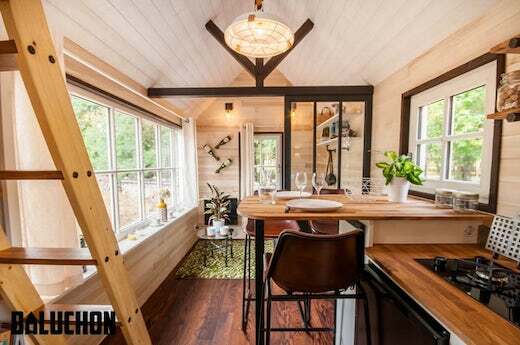 For this reason, it is downright impressive just how cozy and spacious the tiny home La Bohème which was recently designed by the firm La Baluchon, actually is. 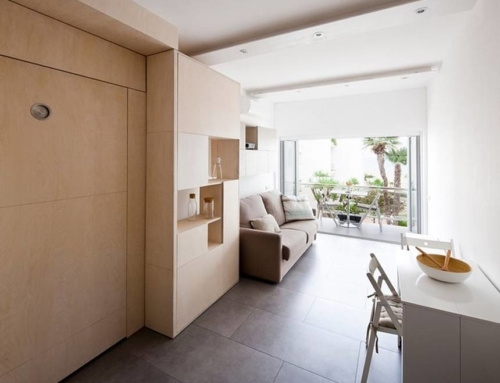 They packed a lot into a very small space without sacrificing comfort, which was quite a feat. 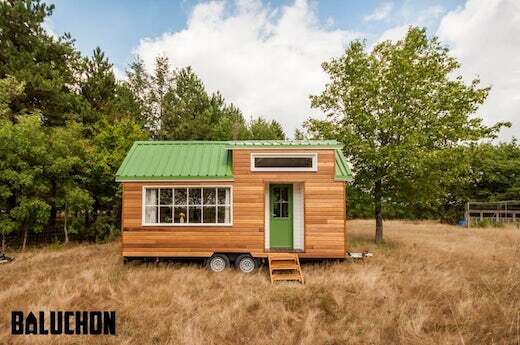 La Bohème tiny home rests atop a double axle trailer and is only 19.6 ft (6 m) long. 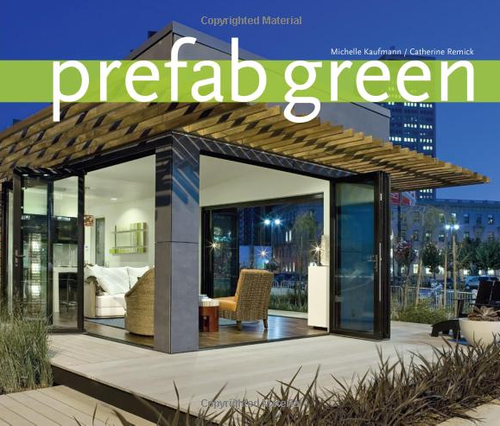 it is made of wood, and features a bright green roof, which is an interesting choice, to say the least. 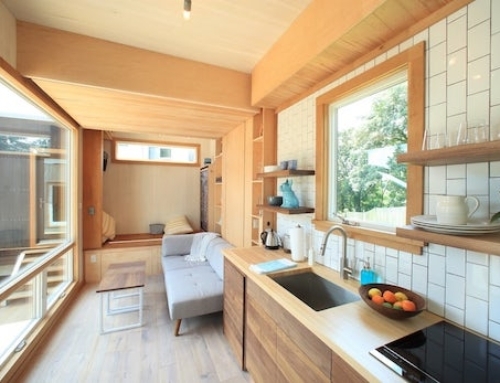 The tiny home also has plenty of glazing, which lets in lots of light and doubtlessly aids ventilation. 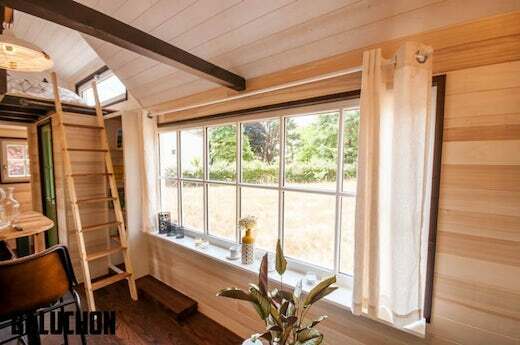 An interesting touch is the narrow window above the door, which is where the sleeping loft is located. The ground floor of the home was left open and features a living area, kitchen and dining area. 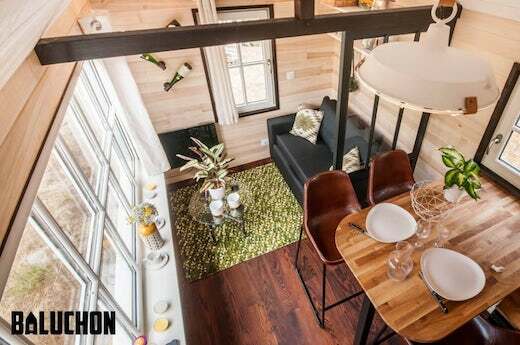 The living area is fitted with a sofa bed, that sleeps two, while the dining table can sit up to four people. 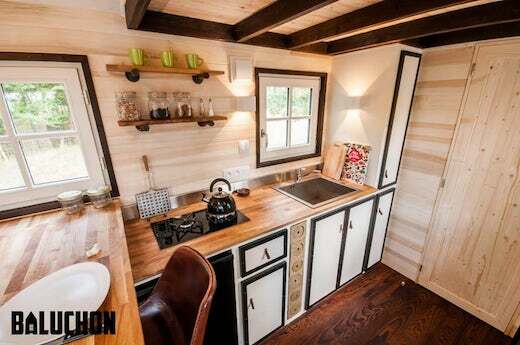 The kitchen is equipped with a fridge and a propane-powered stove, as well as a sink and a fair amount of counter space. 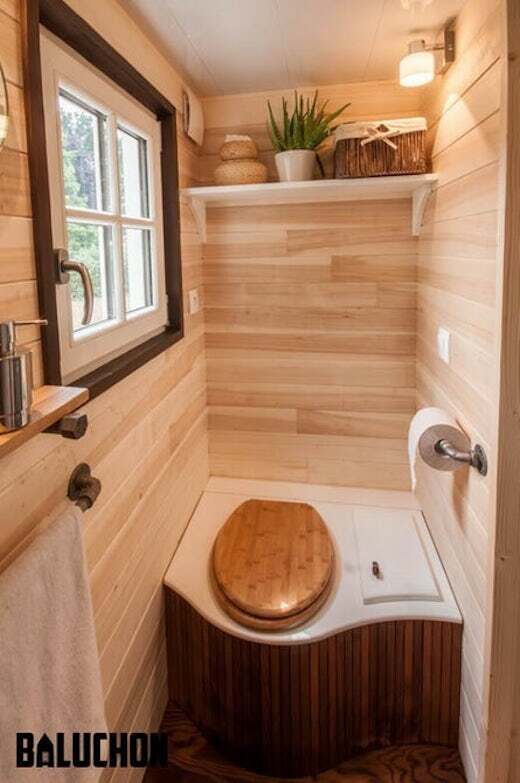 The bathroom is fitted with just a toilet and shower, since the owner deemed that the kitchen sink was sufficient. 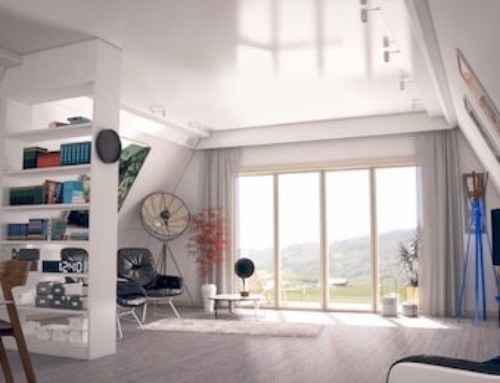 The bedroom is in a loft, and is accessible via a ladder. There isn’t a lot of headroom here, but the windows let in plenty of light so it doesn’t feel as cramped. 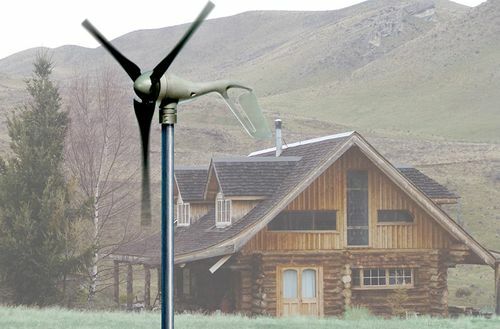 La Bohème has a typical RV-style hookup for it’s electricity needs, while they installed LED lighting throughout to make it as energy efficient as possible. 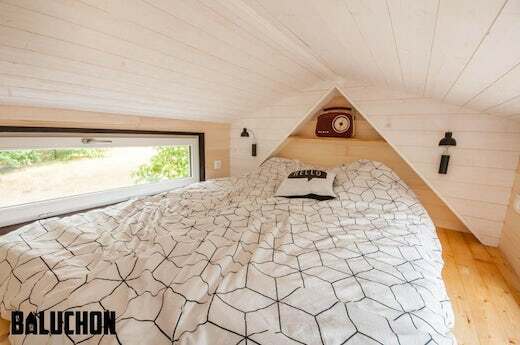 For insulation they used natural materials, namely cotton in the floors, a mix of linen, hemp and cotton in the walls, and wood fiber in the ceiling. 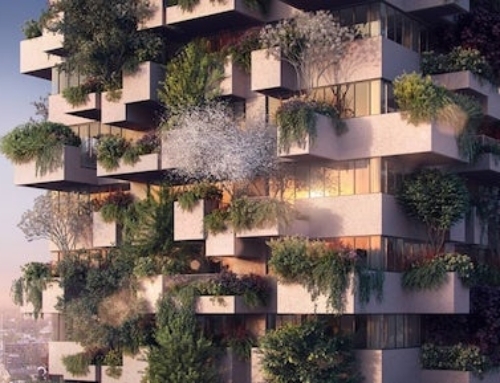 La Bohème is located in the picturesque Vendée region of France and the owner lives in it full-time. 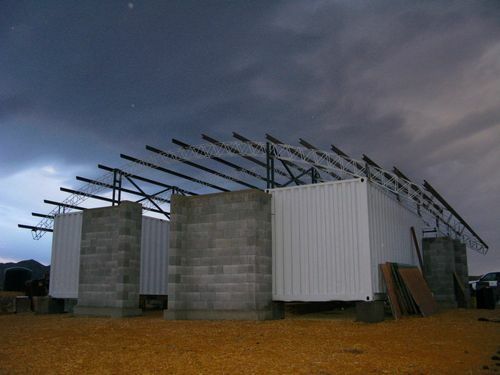 It cost about $70,500 to build.